He's sweet and sensitive and this is very scary for him. He needs help now. Please SHARE for his life, he's SO special and a FOSTER or ADOPTER would save him. He has the sweetest little eyes that make you automatically melt. He sits politely looking at you with a little head tilt and then raises his paw as an invitation for playtime. Any time with this little guy would be time well spent! 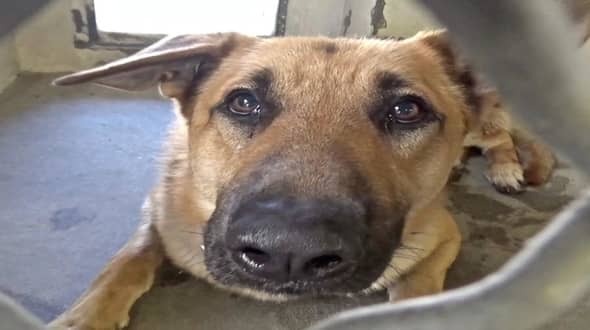 #A5187330 I'm an approximately 5 year old male German Shepherd. I am not yet neutered. I have been at the Carson Animal Care Center since 6/8. I will be available on 6/12. You can visit me at my temporary home at C314. 0 Response to "Forgotten poor shepherd boy openly wept as he is formally placed on death row"